For the next few days, my science fiction novella, The Girl in the City, is available free of charge on Amazon Kindle (US UK Canada). This is the first time I’ve made the book available free and the offer ends May 2nd. Next month, I’m going to be “going wide” with The Girl in the City and making it available on Kobo, iTunes and any other ebook platforms I can find. That means I won’t be able to offer the book for free very easily. I’m also considering increasing the price at the same time. That means it’s likely to be at least a year before the book is available as a freebie. So, if you fancy reading an action packed science fiction tale, now is the chance to pick one up for less than the price of most things. A war that could cost them their lives. 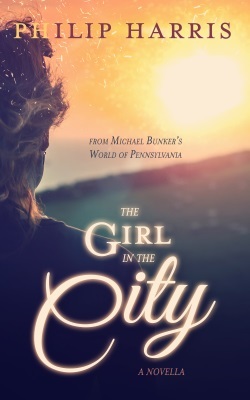 The Girl in the City is a standalone novella and is approximately 60 pages long. You don’t need to have read Pennsylvania to enjoy it, but you should anyway.